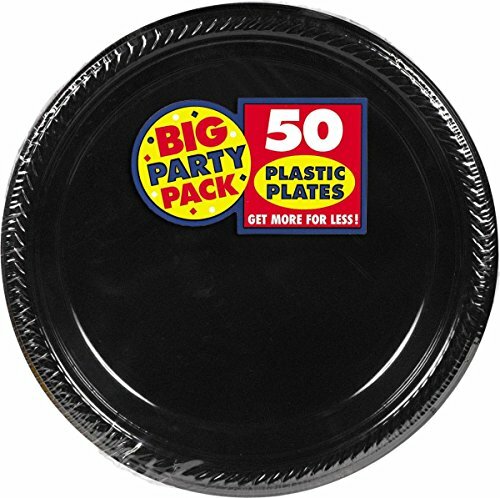 Amscan-Big party pack black plastic lunch/dinner plates. Amscan's big party collection of plates are for the no-nonsense party thrower! this package contains fifty 10.5 Inch plastic plates. Made in USA. American Greetings Monster High Square Party Plate (8 Count), 9"